Clinique is the leading manufacturer for all skincare, cosmetics and fragrances in America. It was the world's first company that is allergy tested. The company is well known for its skincare and cosmetics which are clinically tested and proven ok. The company was founded in 1968 and is headquartered in New York. If you need to escalate a problem or issue, the corporate contact address is 767 Fifth Avenue, New York, N.Y. 10153. The main number for their New York offices is 1-866-707-2100. Clinique has a dedicated customer service line at toll free 1-800-419-4041. Want to get satisfaction? Consider taking your complaint to management. Fabrizio Freda is the current CEO of Clinique. The company offers products for both Men and Women, as well as a makeup packages kit which you can get delivered with a single click on the website. the gift bag. Why don't you think of blonds instead of that black mascara and the lipstick shades are crazy. You offer a pink and you open up the plastic bag and you get a color only for an eight year old could use it to play with. What has happened to this company. If you use an eye shadow color then you have to buy a duo to get the color you want and when it runs out, guess what, you have the other side like new because you never used it. Hope you read this and I get a reply from you. Thank you. I am a long time loyal customer of Clinique products, ranging from facial cleansers, moisturizers to make up. This afternoon, I had a terrible experience at the Clinique counter at the Macy's department store at the Park Meadows, Lone Tree Colorado location. I arrived at the counter, my list in hand, and waited patiently for someone just to acknowledge me. Four women who worked the counter passed me by and without ever looking at me, stated that someone would help me shortly. That "help" never occurred. I waited and waited and noticed other clients were being assisted ahead of me. After a long time and feeling frustrated, I left and no one who worked there seemed to care. Unfortunate because I normally stock up and purchase numerous products when I visit a Clinique counter. Never in my 35 years have I received such poor, borderline insulting customer service. Guess I'll shop at Nordstroms and Dillards instead since they have always treated me with respect. After 20 plus years of wearing Clinique Happy and using your make up and many products both personally and with my patients, I am now looking for another scent and product line because of my horrible experience with Clinique customer service yesterday. I am (soon to be an ex) a loyalty member. I started out trying to place an order on line through Delta SKYMILES shopping having logged into Clinique website to take advantage of an email sent to me offering a 25% discount offered on my entire order as I had wanted to get miles through Delta ( I have done this in the past.) Smart25 was the code. The website wouldn’t allow the it. I called your helpline expecting help. I first spoke with a lovely lady who was very helpful and offered to get a tech supervisor as the site would not allow me to check out myself but we got disconnected after 23 mins. At first I was extremely frustrated that I couldn’t place the order on the site but I later realized that the issue was I was using my mini iPad and not a computer. Later I attempted to put my order through again. Your website suggested that I add $3.75 more to get 4 minis. Great, I thought. But the website would not reveal what minis nor would it discount the several items I intended to buy despite my adding the code correctly. When I called the help line I had the misfortune to speak to Lewis who would oddly refused to spell his name for me. He was particularly slow and I had to spell my name and email 9 times before he got it correctly. Then he told me that the minis were probably a pirate offer even though I assured him that I had most definitely had logged into your website and the offer was popping up on my screen. The first customer service rep added some goodies to my cart previously but they seemed to disappear. He also would not honor the 25% off. After 50 mins, it became a point of honor for me. Simply honor what you offer. When I asked for a supervisor he transferred me to corporate office who had no idea why I was sent to her. I was then transferred to William who was equally unhelpful. appeared in my inbox but she too disregarded my queries. She informed me that the discount did not apply to every product despite the email offering a discount on the entire order. When I asked how was I supposed to know what the discount applied to her answer was “whatever it didn’t apply to would be the answer”. She then ended the chat and I was so furious about the whole experience I have decided to end my long relationship with Clinique. What ever happened to customer is occasionally right ? What is the culture that argues with a customer who was simply trying to take advantage of an offer? I went to the Belk Store in Charleston, SC at the Citadel Mall and was unable to purchase Stay Nutmeg press powder. I spoke directly to the Clinique Manager. I told her Clinique has a history of NOT having supplies in for people of color. In my opinion, to be Clinique Manager she was TOTALLY unconcerned, she had a " I don't care attitude" the entire time. I tried getting her to explain why her store NEVER Clinique should help her find a job where she can enforce her HATE somewhere else!!! I would give this manager a ZERO star but your system won't allow me. I am a Clinique costumer since 2002. 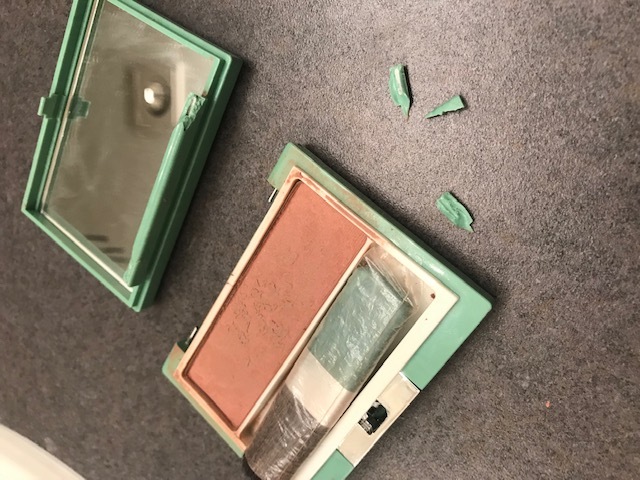 In recent years and for many times, when I bought Soft Pressed Powder Blusher; the Blushing blush powder and The all about shadow (French Vainilla) the boxes breaks itself quickly. It is a mess to use them! I have used Clinique products, specifically, lipstick (Extreme Pink) for about the last 20 years. For the last two years I have coughed up green sputum every night. I was treated for bronchitis, sinusitis etc. with anitbiotics and antibiotic shots. I was just offered the costs of the products and my doctor bills and my medication bills. Frankly, it is just not enough to make me feel better. The coughing, deep and disgusting, went on every day. In order to see my twin 22 year-old twins in Brooklyn, I always took a round of antibiotics to make sure I did not give them anything. I need several thousand dollars since it hampered my life for so long. and am 88 years old and cannot get around too well. 1. The MENS Anti-aging mositurizer burns my fathers eyes. So i will have to stop buying this for him. 2. I bought the new GEL moisturizer which i find does not moisturize very well for me, so i was quite upset as it is a lot of money to lay out for something that does not work. It is very light moisturizer. I purchased the clinique better foundation #5 in September .I have used this product for years and has lasted along time. Except this time was a lot less liquid in the bottle. I purchased this at Ultra in Chicago. I only use my foundation 4 times a week . I am so dissatisfied. Since this foundation is expense . Would like to know what had changed . My wife, Glenda Cain and I went to Macy’s for the Clinique event that had been on our calendar to do for 2 months. My Wife is 82 years old and afflicted with arthritis to the point of very limited movement with severe pain. Glenda went up to the counter while I stood by at a distance and waited patiently for the Clinique representative to get free from other customers. When it was her turn the Clinique rep told her that she needed to help a customer behind my wife in line because it was the cosmetic industries policy to wait on people that knew what they wanted. This really irritated both of us but my wife told her that she had been waiting a long time and that she knew what she wanted also. The rep reluctantly let my wife try to make her purchase. Glenda had an empty bottle of of one of the cosmetics she wanted and because of this negative attitude fro the rep she bought only what she had to have. When we got home the empty bottle she wanted to buy a new one exactly like this on was nearly empty and the wrong shade. I purchase two or three at a time, so I'll have it when I need it, Luv Clinque. I went to exchange this UNUSED lash primer, in the box, to Ulta. I was told to pick out the replacement product then go up to the counter and the cashier will exchange it for you. The cashier refused to exchange the product because it was purchased over 60 days ago. Yes, that was true, I purchased three of them 90 days ago. It was a flaw in the dispenser, it was brand new and I was purchasing two of them (see receipt attached). Also, purchased over $300 in their store (All Clinque products). There was a long line and I was embarrassed by the way the cashier was speaking to me, so I paid for my items and left. I will continue to use Clinque products because I simply luv the product, although I will NOT be purchasing them from Ulta. I am writing to inform you they DO NOT represent the Clinque name with a positive & friendly attitude. I have had bad experiences with previous Ulta stores in the past. I normally purchase my products from Carsons, I will now have to go to Macys (although Macys never seems to have what I want in stock). I could always purchase on line but I really do enjoy the experience with the cosmetic girls, especially when they give samples and advise on new Clinque products available. Ulta - Two thumbs down! Clinque 5 stars! Several months ago I had an allergic reaction to a new Clinique lipstick. I called your customer service to ask if the formula might have been changed. I was advised it hadn't. The only explanation for my problem seemed to be that perhaps you had changed suppliers. I went to my local Belks store and purchased 6 lipsticks that were all supposedly produced in Belgium. I started using 2 of them without a problem. All of a sudden I tried the third and here came trouble. I immediately broke out with a rash on my lips. I have been using your products for years without problems. In 2012 I went through allergy testing at Mayo Clinic. They discovered I had allergic reactions to Benzophenone and all of its derivatives. The chemical caused eye problems and rashes. Mayo Clinic supplied me with a 126 page report on products I could use without problem. All of the products I had been and currently am using were on that approved list. You need to take that 100% Tested sign down from your display counters. You also need to advise your customer service people not to lie about changes being made. After examining the packaging on the lipstick I realized that it no longer said "100% tested" it had a "warning" note. It would have been a whole lot easier on my if your Customer Service Dept. had originally just said YES there has been a change. I wonder if Mayo Clinic and the University of FL. have been notified of the change and their CARD report has been corrected? I am very disappointed in the response I received and the fact that you are still using an advertising phrase that is no longer realistic. It's not really a complaint but a question. I use and love all my Clinique products but have a question about your Self Sun face tint lotion. I purchased one and when I got home with it, it was completely liquid in a tube container which makes me think it should be more like a lotion as in the description on the tube and it smelled horrible. Several family members commented on the stinky smell. I returned it and the store was very nice in a replacement. I took the second tube home and it was the same watery liquid with a bad smell. Now I am wondering if both tubes were old. The Clinique person who waited on me first told me they didn't have this item and would have to order it then said "let me check". So I am wondering if it being old would make it watery and smelly. I would love this product except for these two issues with it. I spent $108. @ Bloomingdales in Willow Grove PA. I requested the option for the gift offered and it was not available. When my transaction was complete I requested the additional gift that requires a purchase of $75 or more. I asked the clerk if she could contact another location to see of they had the additional 9 items. She told me that was not an option.So my disappointment is I intended to spend enough for the extra perks and left with what I would have gotten for spending $28. I wanted the gift with the 7day scrub and the Tote and all that came with it..Is there some way I can still get those items? I purchased s bottle of Clinique Beyond Perfecting foundation and love the product. However, when replacing the applicator after each use, the makeup spills over a little with each use and makes a mess with other cosmetics in my bathroom drawer or cosmetic bag. I have just stained (got the color out with some work) a pair of slacks by picking up the bottle to apply my makeup. Very disappointed in the bottling of such a great product. Have you ever had a similar complaint? As a routine customer I have purchased Clinique products from a department store at Macy's in the West Farms Mall in West Hartford CT. There is a "team manager' that has a very argumentative and compulsive attitude every time i have entered the store. Not only has the negative vibe been noticed by me it has also been a rare situation for relatives. I have that have referenced me to the store for purchases. My concern is that this is not being directed if it happens routinely with other customers. I have asked to speak to someone higher by this employee and her reply is the person above her is on vacation. What can I do to address this matter? I was not even offered one small cheek pop blush for the mess the first one created. Instead, she transferred me to "America's Consumer Care Line" which had a greater than 45 minute wait time (no surprise there). Does Ms. Freda, Clinique President, not know how to lead? I used to admire Clinique. So sad now. Went to a clinique store in Braamfontein. I wanted to buy make up but wanted to change what I was using previously as its summer now. Got the worse service ever. The was a lady and a gay guy and told the lady that I wanted to test the make up and she didn't seem to want to help me or gave me the make up that I wanted to try on. She told me that I'm wearing make up as it is and blush on top of that and that seemed to be the problem and then decided to leave. I've been using Clinique for more than 20 years. My recent liquid soap that was purchased had an off smell (oily). 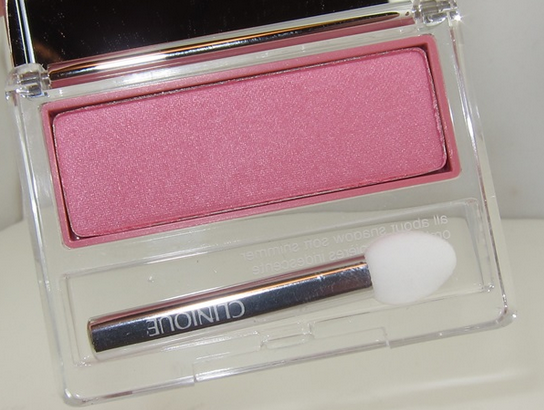 I had returned it to the store, but Clinique is giving me the run around giving me the correct product at my expense. I'm very upset. As its still not resolved. I m currently sitting without my product. I purchased the make I have worn for years. I also got the free gift bag. I was so disappointed in the lip stick. Great if it was beginning of summer or lived on west coast. Plus you have to be blonde, skinny and 16. Lol I am 68 years old ....so disappointed in the shade of lipstick. I give them as gifts sometimes.... not any more! I went to the dillards in billings mt. Asked to be matched for a tinted moisturizer and a compact powder for work. Also asked for fuller coverage look and powder match for going out. It was my first wedding anniversary that week. I think the big problem was I asked to have my whole face matched. I just got done with 9 months of Accutane and have a lot of different tones. It has been a battle to find a good color. I was first informed that I didn't need multiple matches... and then informed that they didn't have the staff to spend that kind of time with me. I have always chosen clinique because of the quality and the price point. Also because of their acne line. Was one of the only things that helped when I had cystic acne. Even when I was a single mother going to nursing school I spent what little extra money I had after taking care of my daughter on clinique. After not wearing makeup for 7 months I was very excited to go in and have them help me, only to find that I was an inconvenience. I was polite and took the sample she gave me. Let me be clear I don't have the time to try a few product and come back... and was confused why she didn't want to just match me and let me walk out with $200 in makeup. I am fortunate that there is one other retailer in town that carries clinique. I then left and went to herbergers where they promptly helped me to spend more money than I wanted lol. I am very satisfied with my products and the service at herbergers. I initially went to dillards because they are a higher price point retailer and thought the service would be better. I was very wrong. If clinique wants to be a leading retailer for acne solutions then their representatives need to spend the time on acne clients. We are not just a match on the chin. It just can't work like that when you have skin like I do. This is not a letter to say I won't use clinique. Honestly I will never switch. I just think the service at dillards could have been so much better. Perhaps they should learn from the gals at herbergers. I have been purchasing Clinique quickliner for eyes for several years now and do find that the tip disppears after the first use. I have struggled along with the blunt edge of the eyeliner, but recently purchased a 04 slate and it's worse than ever. Is it possible I am not using it correctly, or is it simply a bad design? I have been using Clinique Aromatics for years as I found it was the perfume that suited me the best! Myself and one or two of my friends who also use it, have been discussing the smell of Aromatics which is not what it used to be! It also does not last as long, whereas I would have sprayed once and people would always comment on the beautiful smell. We would like to know if you have changed your "formula" for Aromatics? My last two bottles just have not been the same at all and was disappointed! I would appreciate your comments regarding this. I have emailed Clinique twice with a complaint and so far I have been totally ignored. I will never buy another product from them as there are other quality products around and more importantly other Brands really care about there customers. I wanted to bring to your attention an interaction with one of your sales people on Saturday, June 11th, at around 3:30pm, at the Stamford Lord & Taylor’s Clinique Counter. I was shopping with my daughters, picking up a few items for myself at various cosmetic counters. Everyone was super helpful, friendly, and welcoming. I did not walk by ONE counter without being approached asking if I needed help - not one! That is, except for your counter. My last stop was at the Clinique counter where the 3 women working it, were not helping anyone, were in the center near the register, were not warm, friendly or helpful. We were there maybe a minute until a woman (I did not get her name, but she had long, very dark, straight hair) approached us and, very awkwardly and in an unfriendly tone asked what we needed. I said I was looking for a concealer for my daughter and chuckled saying that I hope she never has to wear makeup. The woman had a very strange look on her face and asked again if she could help me, but it was super awkward and almost as if she didn’t want us at the counter. She then turned around, went back to the other two woman still standing in the center, away from the counter (which was completely EMPTY - when all the other counters were filled with people) and began talking about me. I could not believe it! She sent another woman my way to ask if we needed help - and, again, I felt as if she wanted us to leave that and we were bothering them. So, that is what we did…left. I came to purchase some things from YSL and Trish McEvoy for me and Clinique for my daughter. This would’ve been my daughter’s first purchase at a cosmetic counter and it ended in a bad experience. Needless to say, I left with nothing from Clinique! I absolutely never write when I have a bad experience, but thought I’d do a disservice to your company by not letting you know of my experience at your counter. I bought a small men's shaving creme to take on a plane trip (CA to NYC). i thought it would pass security. No. You small size is 4oz. Security has a 3oz limit. Perhaps you could make a 3oz size? I have been wearing Clinique products for many years. Recently my daughter purchased a Vitamin c lip smoothie for me from Leeds Bradford Airport. I have only used it about 4 times and now it no longer works. This was nearly £20.00 so very disappointed. Went to the Clinique sales counter, the woman or sale assistant have no idea what she was saying, I ask her questions and the only thing she saying is that yours cosmetic are fragrance free. I asked her if she have any sample to try, she gave me sale of serum make for mature skin and I'm only 20. You need to train you staff better because they have no idea what they doing! Very upset as a customer of how this has ruined my skin. Purchased the advanced concealer because I can no longer fine the even better concealer. I received it today and the tube is filled about 3/4 of the tube For 18.50 I expect a full tube. I feel ripped off. Please bring back the super moisture makeup and hydration maximum makeup, I can't use the make up with sun screen in it and I like the oil based. I am now 60 years old and have always purchased Clinique products and have never been disappointed with their quality. 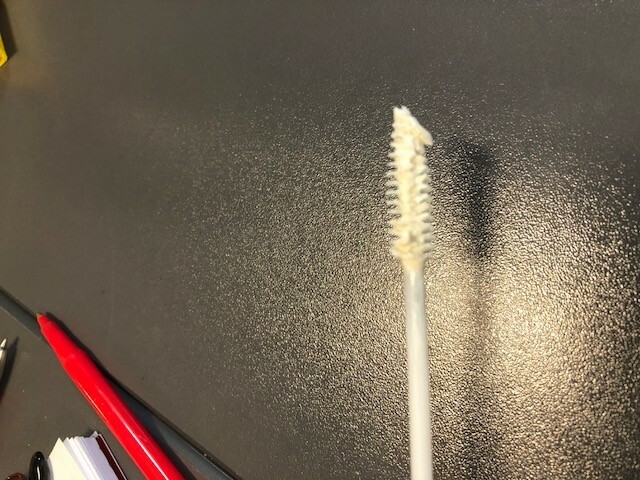 I recently renewed my Skinny Stick eyeliner ( 05 skinny jeans) and was very disappointed as it crumbled away as I used it and it lasted no time at all.I was very surprised and I can't believe this is a deterioration in your product but just a" one of " situation. Looking forward to your reassurance. I have a quick Clinique complaint that I need to share with everyone. For years I used Clinique quickliner for eyes. The last two times I purchased it, this is what I discovered. The content of the product has been reduced so it does not last nearly as long as it used to. Moreover, the actual consistency of the product is much softer and, therefore, it breaks more easily. I am so disappointed in Clinique for doing what I perceive to be cheapening the quality of a formerly good product. Does it bring Clinique a few more pennies? I do not understand the corporate mindset with respect to this kind of situation. I love using Clinique products for my skin and makeup. I recently purchased Clinique butter shine lipstick. I love the color "pink goddess" and love the way it looks on me. Here is the problem. I am on a fixed income. I spent $17.00 on a product I thought would be of high quality. Instead this lipstick seems to soften and break off in tiny pieces. It is not kept in a warm area. It should be able to withstand the average 68 to 70 degree home. I am very disappointed with this product and wanted you to be aware of the issue with this lipstick. I have been a loyal Clinique customer for forty years...I especially like your Dramatically Different Moisture Lotion. I make a point to purchase it twice a year when you get samples with a qualifying purchase. It is a good way to learn about your new products. For forty years the moisture lotion purchase qualified for the samples...yesterday (2/12/16) I was told that my 26.00 purchase no longer qualified. I needed to spend 27.00. I consider this a slap in the face of a loyal customer. I left without purchasing your product. I will no longer be purchasing Clinique products. For the sake of one dollar you have lost the brand loyalty of a faithful customer. I have been a loyal customer of Clinique products...especially the Dramatically Different moisture lotion...for 40 years. I purchase this each time it is offered with a sample of products with purchase. It is a good way to try new products. The purchase of the lotion was always enough to qualify for the samples. Yesterday I went to purchase the lotion and was told that my purchase failed to qualify by one dollar.This is the first time this has happened in 40 years. I left without purchasing the lotion. For the sum of one dollar you have lost a very loyal customer. It is a matter of principal. So much for product loyalty!! I have been buying clinque mascara for many years and always been pleased with the results. I needed to order a mascara and couldn't go out due to having chickenpox (not good at the age of 66) not to worry I ordered it online from House of Fraser. When it arrived I was really shocked at the diminishing size of the product even though the price was the same. I usually buy lash doubling mascara as this was unavailable i chose lash power feathering mascara why has the size changed! I will not be buying your products in the future as I feel you are making the size of the product less to increase your profits. I received what I think are mold covered lipsticks. When I emailed to ask about it, they never replied. I ended up emailing 5 times with no response. Horrible customer service. Don't waste your time. I just registered a complaint with Clinique corporate office and did not recieve an email to confirm my email address and process complaint with Clinique? Which is what I was to expect. Can anyone tell me if my complaint was processed? Thank you! I have used Clinique for 10 years having been inspired by the natural fresh look Clinique demonstrates. Sadly over the years the products are reducing in quality. The super balanced foundation half full. The eyeshadow smokey eyes after a month cardboard coming through. The lip liner the end of the stub when hardly used and the mascara empty and dry. I am a busy lady a full time teacher but felt strongly to write this. I hope my comments are heard because I feel very unfairly treated your items are high end brands and this is an insult to my hard earned money. Clinique products are very poor and sadly I feel I need to choose an alternative now after they have ignored my feedback. I spent a lot of money at store in cape town on Clinique products. My face has broken out into red itchy pimples along jaw line and on forehead! What the hell i have never even had acne before and I am 50. I purchased your Clinique Beyond perfecting foundation and concealer, With a free gift bag. When I went to use the foundation I found out they gave me the wrong color. I drove back 25 miles one way so I could get the right one. I said they could return this one and give me a few samples so they will not have to open the new bottles. Tina from the Brookfield sq. branch in wi. told me I need to return the gift bag before they could return it. I said I was coming back for a facial in Sept. and I would purchase it then. I already tried on some of the things in the bag. She said no! I exchanged it for another with out knowing if it was the right color. I called a day or so later to talk to Ann the manager. She also said No! I told her I was the one who was inconvenienced here. Also, tried some of the products in the bag. Ann said that is ok we take back anything. I have never had such disrespect from a employee at the Clinique counter. I have been going there for almost 25 yrs. They can have the bag, but I will find a new foundation at another counter at Boston store. They have many others. Tina and Ann need to take a class on harassment because that is what they did to me. I am so upset and angry at the fact that since i have reacived my number 3 skin care products my skin has become spotty i have started to get alot of break outs and have now stopped using all 3 products i wont be using again so theyl just go in the bin and it hasnt even 1 week only 5 days since i have been using them please advise me in what i can do can i get a refund? Looking for a product that gives the best Skin care, make up, fragrances? Well I think you should just try Clinique. I have given it a shot and tried the make up range they have. I have to say the product is good, reliable and affordable. Clinique Sonic System Purifying Cleansing Brush is the best brush that takes care of removing all the dead cells from the skin and giving a clear complexion. I helps remove makeup, massage your skin, exfoliate and moisturize with just one tool. I have used this and I love the fact that its an all in one product. I give Clinique an A+ for the wide range of products that they have and would definitely recommend this to all.